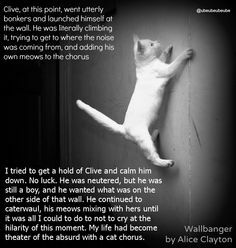 Wallbanger by Alice Clayton is in a word FUN. I hadn’t even finished it before starting this review. When we meet Caroline she has just moved into a lovely sublet in San Francisco and everything seems perfect until the first night. The title really says it all, poor Caroline, who has misplaced her “o”, the “O” for those of us who require further elaboration, is an involuntary auditory spectator to her neighbours sexual antics adding insult to injury considering her “o-less” state. When she does finally meet “Wallbanger” it is not love at first sight which is a refreshing change from many of the novels I have read in recent years. Too often the hero and heroine meet and before a full day has passed they are irrevocably in love. 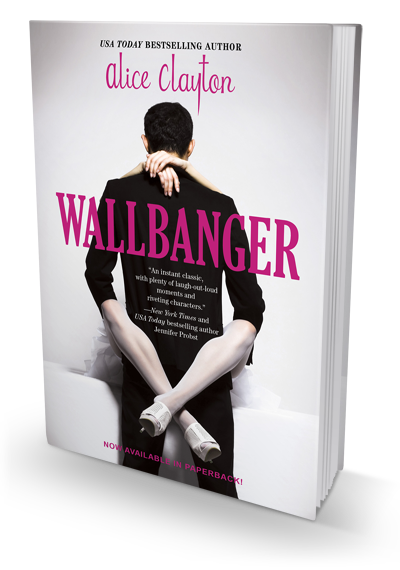 Clayton has masterfully created likeable, funny characters, Caroline has a healthy self image there are no painful mental soliloquies bemoaning why Wallbanger could never love her. Her relationships with her girlfriends are refreshingly irreverent and free of female rivalry even in some situations where a little cattiness wouldn’t be unexpected. She takes the time to build a relationship between the protagonist and the love interest, at no time is the reader wondering what the characters see in one another. After this enjoyable read I will definitely read more by this author.